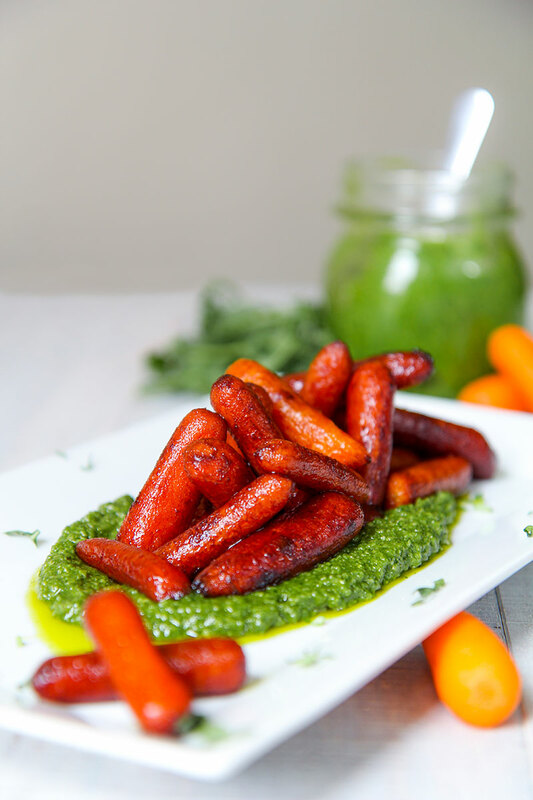 Roasted carrots with balsamic and arugula pesto is an healthy vegetarian salad. 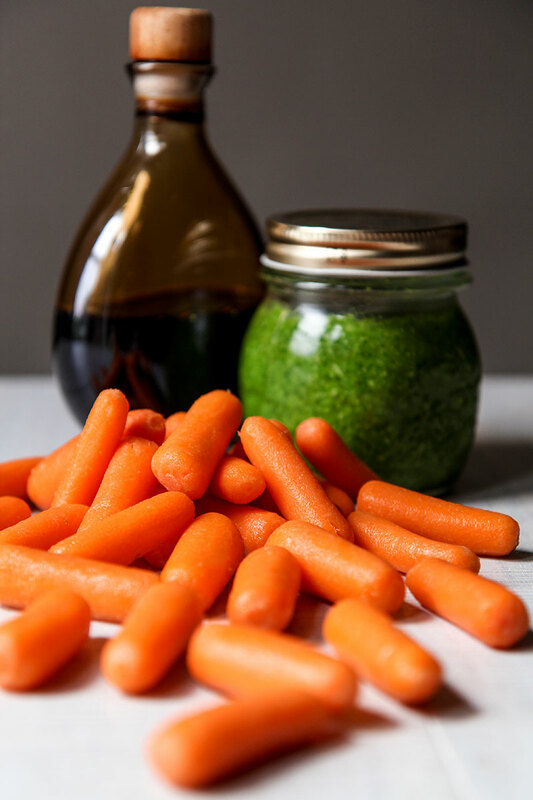 I love the sweet taste of the carrots glazed with balsamic vinegar paired the bitter of arugula. To obtain a perfect balance between these strong flavors a very good quality balsamic vinegar is mandatory, otherwise the taste will be too sour! Pre-heat the oven on 375° F.
Season baby carrots with 4 tbsp of olive oil, 4 tbsp of very good quality balsamic vinegar and salt as needed. 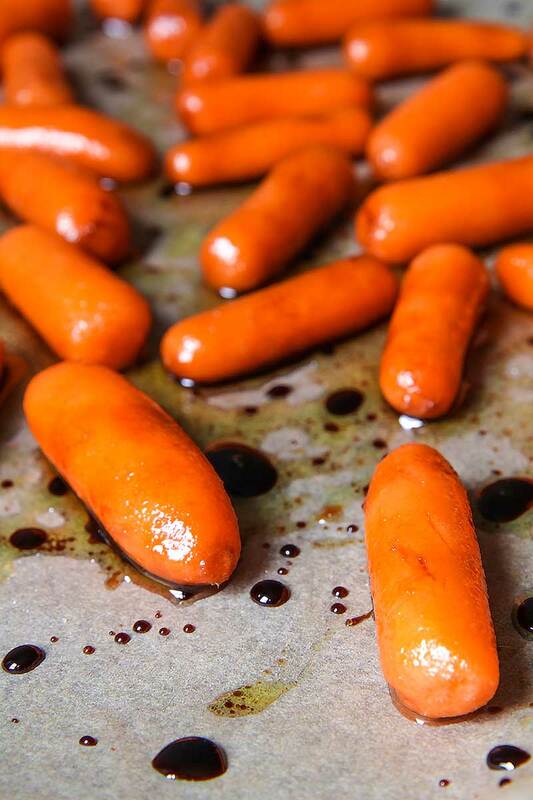 Place the carrots on a baking tray lined with parchment paper. Bake 30 mins. When the carrots are done but not mushy, take them out of the oven. Toss the carrots with 4 tbsp of balsamic vinegar whey they are still very hot. 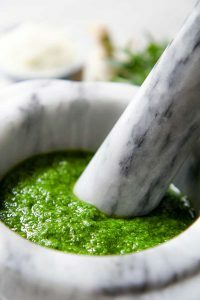 Serve the roasted carrots hot, warm or at room temperature, paired with arugula pesto (click here to read the recipe).